Welcome to Radio-O. Here is how it works! We provide a radio receiver with a directional antenna, an orienteering map, a compass, and a finger stick. By pointing the antenna and listening to the signal you can determine the direction of the signal. Using this information you navigate to the transmitter and punch in with your finger stick. Only the start and finish are marked on the map and it is important to keep track of where you are. To qualify as finishing you must find at least one transmitter on your course and reach the finish within the time limit. To calculate results -- first; the number of assigned transmitters you found, then; your time on the course. We offer beginner through advanced courses, Regular BOK fees apply, and Pre-Registration is required. 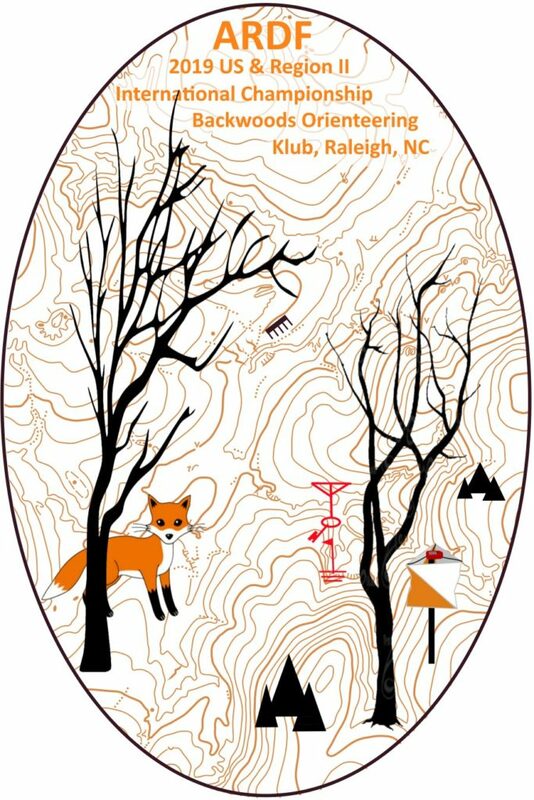 We have a 80m ARDF event on March 17 at Umstead West. There will be a Classic 80m event and a Sprint. Everyone is welcome. We will have a beginner class at 12:30. We will rent receivers for $5 at the event. Please pre-register for this event here, and when you choose your course choose whether you need to rent a receiver. You can decide exactly which courses you want to take at the event. You can do both the classic and sprint for the same entry. We bought a set of transmitters. They can be programed together using the computer or individually with their controller (the one on the left). We also have poles to mount the antennas, and it takes about 3 minutes to set up the transmitter and antenna in the field. 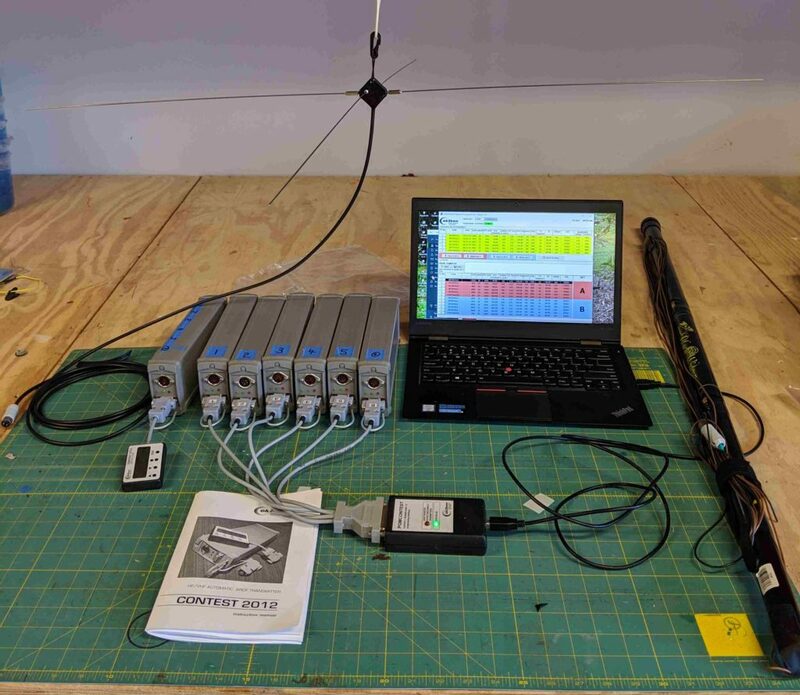 The transmitters can broadcast either 80m or 2m depending on which antenna is plugged in. I have been testing them and we will use them for their first event on March 17.